We strive to provide our students with a service that takes the stress and worries off their hands and one that they are happy with. Our service will maximise your chances to secure a place at a university of your preference, based on your credentials. All our services are FREE and we work hard to get your offer within 48 hours. We assess your eligibility based on the documents that you provide. We will then analyse your documents and advise you accordingly. Conditional - means that your application has been successful, but it is necessary for you to meet certain requirements which are usually related to your academic performance, for example pending exam results or an IELTS test. Once the University receives evidence of all the outstanding conditions, your offer will become unconditional. 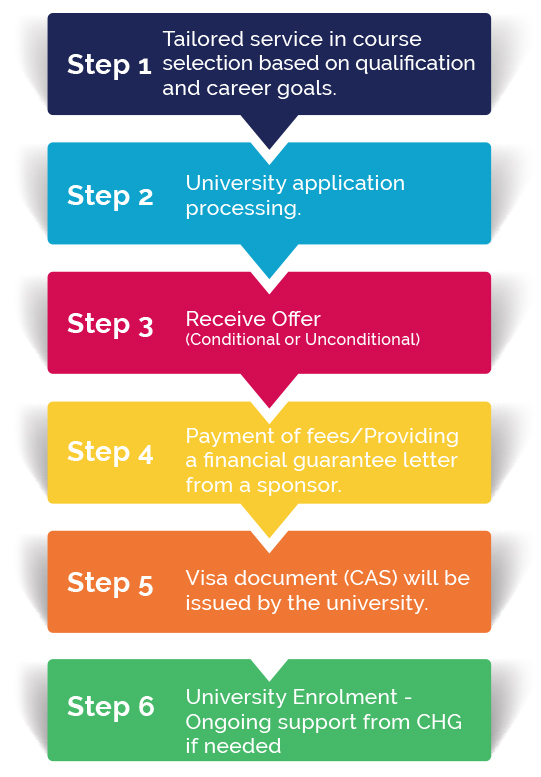 Unconditional - your application has been successful and no further academic requirements are needed. You can proceed to requesting your financial guarantee letter (if you are a sponsored student) and paying your 50% deposit.